March 15, 2010, PHOENIX — Twenty meeting professionals representing more than $6 million worth of potential annual meeting-and-convention business will visit Greater Phoenix this week to consider the many possibilities available to them at hotels, resorts and the conference facilities at the Phoenix Convention Center. These clients often book multiple meetings during the year. The Greater Phoenix Convention & Visitors Bureau and several of its hotels, resorts, and partners are teaming to host these special visitors, who arrange meetings for businesses, trade groups and national associations across the United States. The Arizona Biltmore will serve as the headquarter resort for the meeting planners during their March 17-20 tour of the Phoenix area — a tour that will include a short daytrip to the famous red-rock landscape of Sedona. 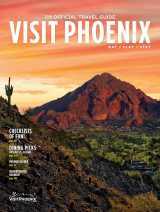 In addition to touring the accommodations and meeting facilities at these hotels and resorts, the visiting meeting planners will sample local cuisine and get a chance to bask in Phoenix’s sun-warmed spring weather. According to the Arizona Hotel & Lodging Association, group meetings and incentive business account for 70 percent of the revenues and occupancy at most of the state’s resorts. And a survey conducted last year by the Greater Phoenix CVB showed that the average guest room in the City of Phoenix generates $1,710 in property taxes — or 8 percent more than the median household in the city.